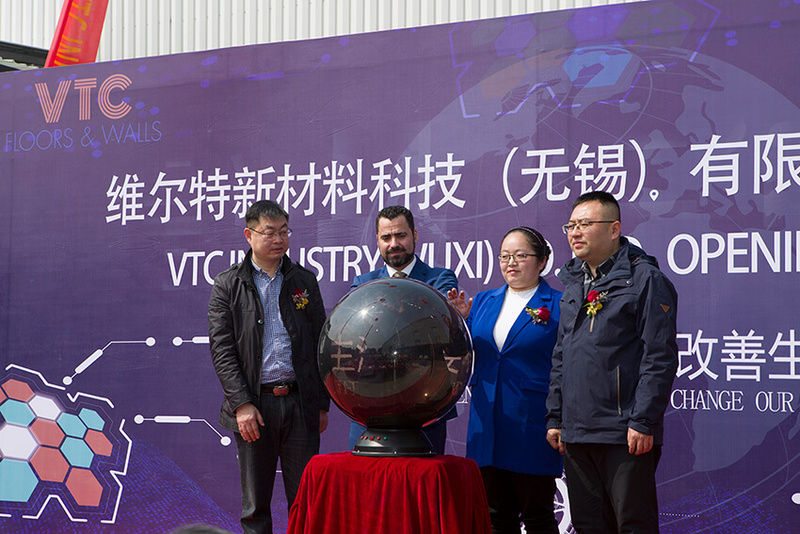 The 25th on March was the chosen day to celebrate the VTC Opening Ceremony, the new generation’s covering factory, located in Wuxi, an old industrial city in the province of Jiangsu. Although the factory was working since some months before, this day was chosen for celebrate the official launching, as a result of a good relationship and hard work between the partners, Chinese and Spanish. In this new project, are placed the illusions of the owners and all the team who share the same values. In this way, values thus conveyed from the beginning makes possible the project grow a little every day. 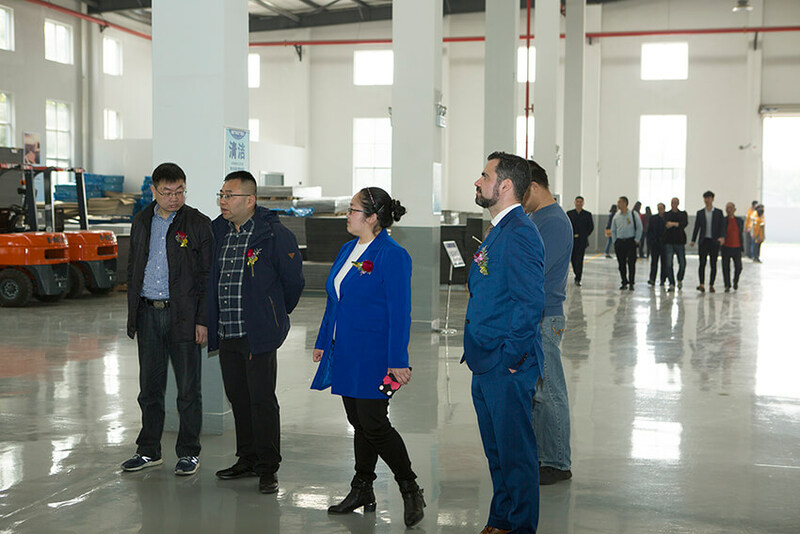 At the appointment were present partners, senior representatives of the Wuxi government, suppliers, factory staff, friends and family. The support of all of them will be vital in this new stage to face challenges and to celebrate all the successes that are to come. 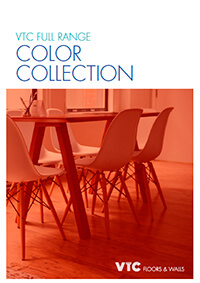 VTC born from the need and opportunity to give answer to the challenges that the flooring and wall covering sectors faces in a market that changes at high speed. The experience of its promotors, with over 25 years working at the sector, and the desire and conviction to carry out this project successfully have made the factory has the trust to start this new era. Throughout the inauguration, the speeches and the words of thanks and encouragement to all took place. During his speech, David Granados, VTC president and founder, highlighted the importance of working jointing the advantages of each culture “with passion and effort all the dreams can become true”. On the other hand, Cherry Xu, VTC general manager and founder, highlighted in her speech the importance of persist in something that you really believe and in the possibilities. In this sense, she said that “we not persist because there’re possibilities, but that there’re possibilities because we persist, so we need to persist our original heart and dream, never give up whatever we meet difficulties and suffering, only this, we could have more possibilities to reach high mountain and achieve our great goal”. Granados wanted to end his intervention quoting a Chinese proverb that help as inspiration for all those who are part of VTC: “To dream of success struggle to creat success”. The warehouse has 4.000 m2, distributed in a plant where, on the one hand, the central offices where suppliers and customers are served and administrative tasks are carried out, on the other hand, and occupying the most of the space, are the available machinery to carry out the production of all orders. Actually, there are 2 completes lines of gluing and pressing to laminate the baseboards, a total of 18 sets of industrial heavy duty presses, some completes lines of finishing bevels (that included painting, drying and polishing phases), a complete line of profiling of boards to make any type of figure. In addition, soon, there will have a line to make all kinds of profiles, accessories coordinates with the products. 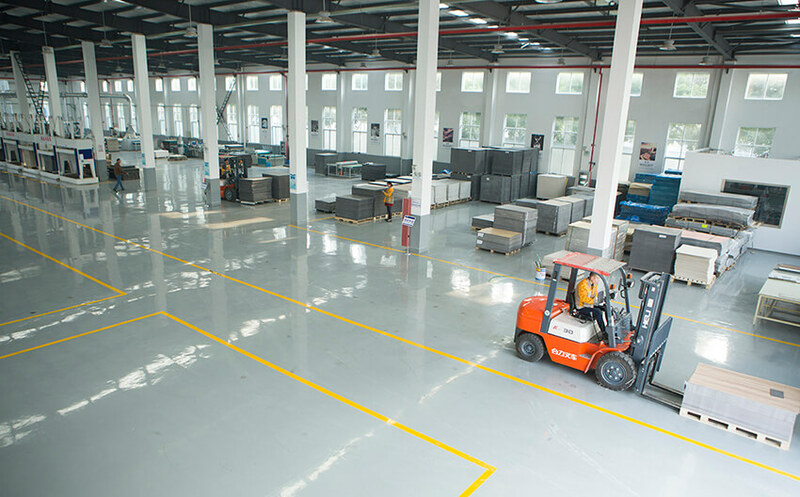 The warehouse is organized in different areas that make up the production, which the production, highlighting the storage area of the raw materials, the quality control or the machines of the process of making the products, among others. Moreover, near the workshop, is located the showroom, is a special place to be inspired by finished and installed product included in VTC range. In this space stand out the different information panels that cover the walls and inform about the advantages and of each one of the products that are supplied.